Happy as a pig in clover! Bonne Année! 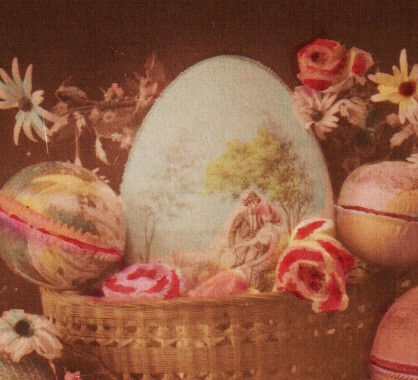 Trick photography and photo-montages were all the rage in the early years of the last century and a stock feature during the Golden Age of postcard production. 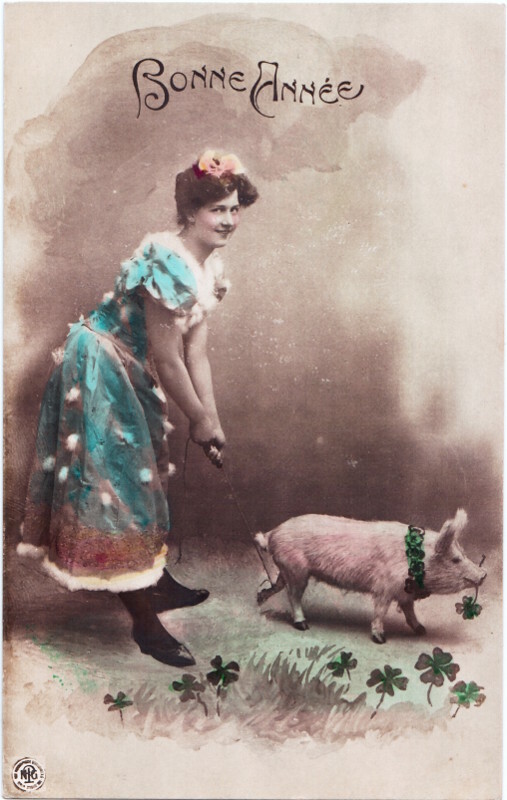 This charming New Year Greetings postcard is a wonderful combination of the ubiquitous glamour shot of a young, pretty woman, posed more unusually with a piglet – a European New Year lucky charm popular in the late nineteenth and early twentieth centuries. To go one better, this pig is also surrounded by four-leaf clovers, which brings to mind the English idiom “happy as a pig in clover”, signifying prosperity and well-being. The postcard may carry the French greeting “Bonne Année”, but was in fact issued in 1904 by Neue Photographische Gesellschaft (the New Photographic Society), a German organisation of photographers founded by Arthur Schwarz. The society became a formal “Aktiengesellschaft” (a joint-stock company) - indicated simply as AG on the reverse of the card - in 1894, and would go on to dominate the real photo postcard industry in the first half of the twentieth century. 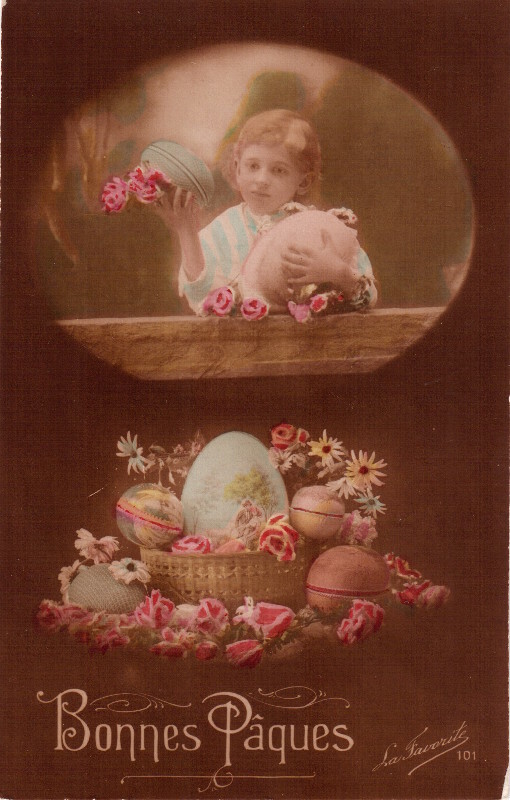 Based in Steglitz, a borough in the south-west of Berlin, the society members published many real photo postcards, and in particular “Oranotypie” images such as this postcard, NPG's own trade name for a type of glossy hand-coloured real photo postcard, which invariably included some gilding. The distinctive NPG logo in the bottom left hand corner is lightly gilded and gleams if tilted under a lamp. The card was clearly aimed at the French market, however, because the reverse of the card uses the “divided back” for message and address - the system was introduced in France in 1903, but was not adopted in Germany until 1905, a year after this card was produced. 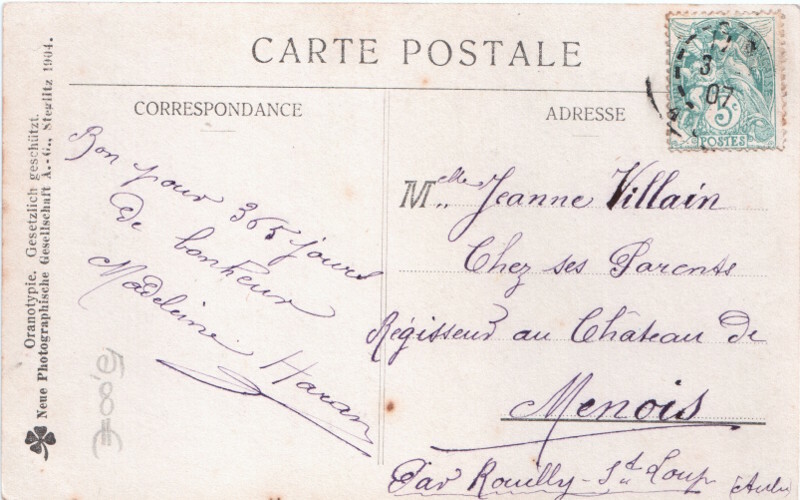 It was sent by a certain Madeleine Haran to Mademoiselle Jeanne Villain in Rouilly-Saint-Loup, but all that is legible of the postmark on the 5 centimes “Blanc” postage stamp is the year – 1907 – and the day – the 3rd – but it's probably safe to assume that it was posted in January of that year given the message “Bon pour 365 jours de bonheur” - Good for 365 days of happiness! Check out the Vintage Postcard Store for more Vintage Lucky Pig New Year postcards!